honor and status to its former glory. 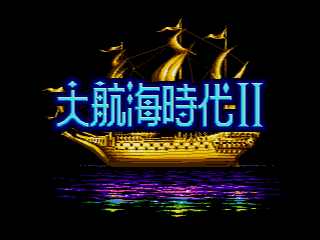 makes a great counterpoint to MicroProse's Pirates! Gold. 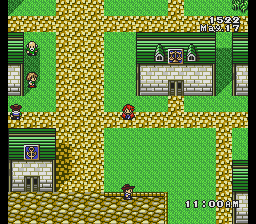 A new kind of RPG, ported from PC. The graphics in the game is not very good, but the new game play would make you interest in! The version 4 expansion are there on market for PC! Try that also! 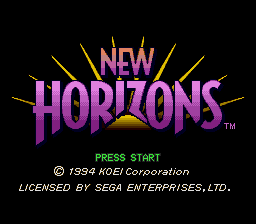 I read about New Horizons in an old copy of SEGA Visions. I've been looking for it for awhile now. 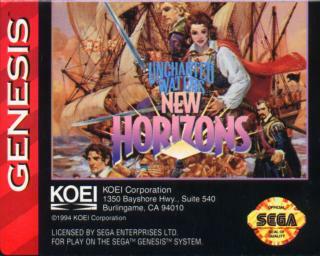 "New Horizons Special edition" "Gaiden" and "Porto Estero"
If you whanna find more about the series, type in the japanese name "Daikoukai Jidai"
were all released for the Playstation, their is a new game in the works for the PS2 which will be released in 2004 as well. C-mon Koei, Release them in the US! I am still (in 2004) playing the ORIGINAL VERSION on NINTENDO. My best game ended at rank of Count in October 1503; while the character is still only 17 years old. I did this playing with smaller ships loaded with 200 crew each. You can't travel long distances, but the game seems to adjust the tasks asked by the King to shorter runs. To WIN, you must be fighting: Spain, Turkey and Pirates.